Booysendal Platinum (Pty) Limited (Booysendal), a subsidiary of Northam Platinum Limited (Northam), a South African based platinum and chrome producer, is currently expanding mining capacity at its Booysendal mining concession. Key to the success of this expansion is the cost effective, reliable, safe and environmentally low impact transport of ore over topographically challenging terrain, from mining modules in the south of the concession to the concentrator plant. To this end, Doppelmayr Transport Technology GmbH (Doppelmayr), headquartered in Austria and a subsidiary of the Doppelmayr group, the world’s leading manufacturer of ropeways, is currently constructing a RopeCon® system which will transport up to 900 tph over 4.9km, with an overall vertical climb of 530 m.
Since the year 2005, a RopeCon® system by Doppelmayr Transport Technology GmbH, Austria, has been transporting inert material along a long-stretched valley at the Tüfentobel landfill site, which will eventually be backfilled. The belt is being extended in several stages. It discharges the material onto a debris cone directly where it is to be used. Finally in March 2016, a novel concept was implemented which has further increased the flexibility of RopeCon®. 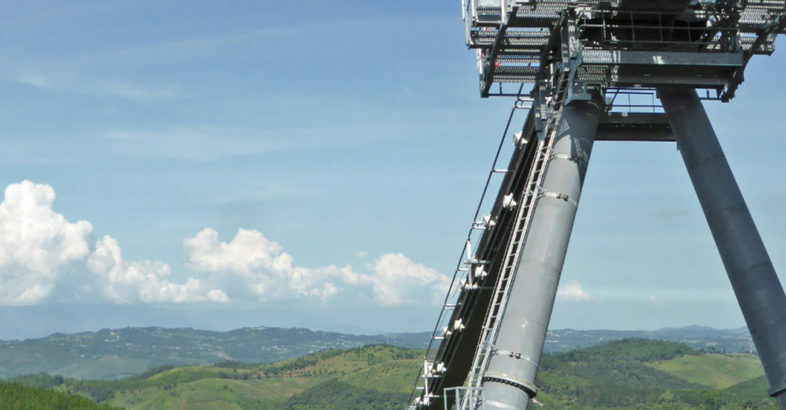 The successful start-up of a RopeCon® system which will transport limestone from the quarry to the area where it will be processed has recently taken place in Guatemala, approx. 35km from the capital. 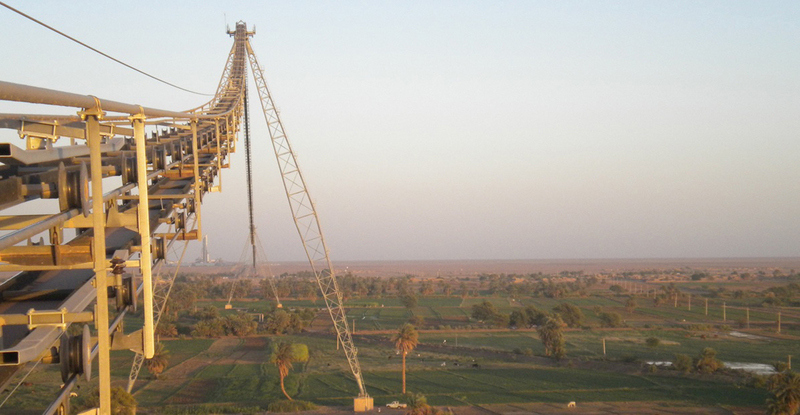 The installation, which requires no more than 4 tower structures to cross a wooded terrain, has a length of approx. 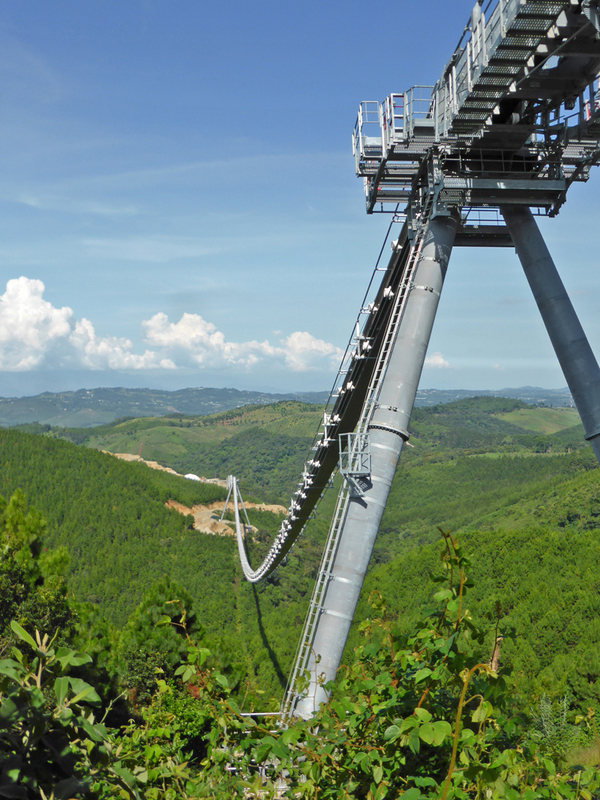 1.6km and covers a vertical rise of almost 200m. Thanks to the long rope spans it has been possible to minimise the amount of space required on the ground. The cement plant of Guatemalan Cementos Progreso, S. A. is due to take up operations in the first half of year 2017. From then on, RopeCon® will transport 2,100 tons of material every hour. 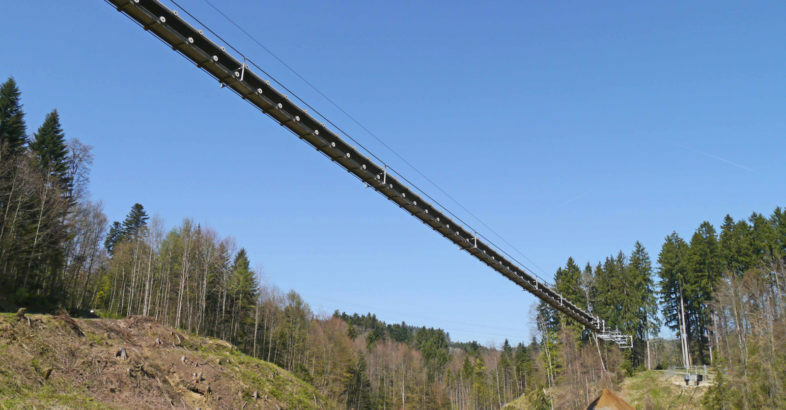 RopeCon® has been developed and designed by the Austrian ropeway manufacturer Doppelmayr and combines the features of a belt conveyor with those of a ropeway, thereby making use of the advantages of both technologies. It is currently in use for a variety of material transport applications all over the world.